During a recent trip to the Phoenix, Arizona area, clear skies offered excellent views of the planets. 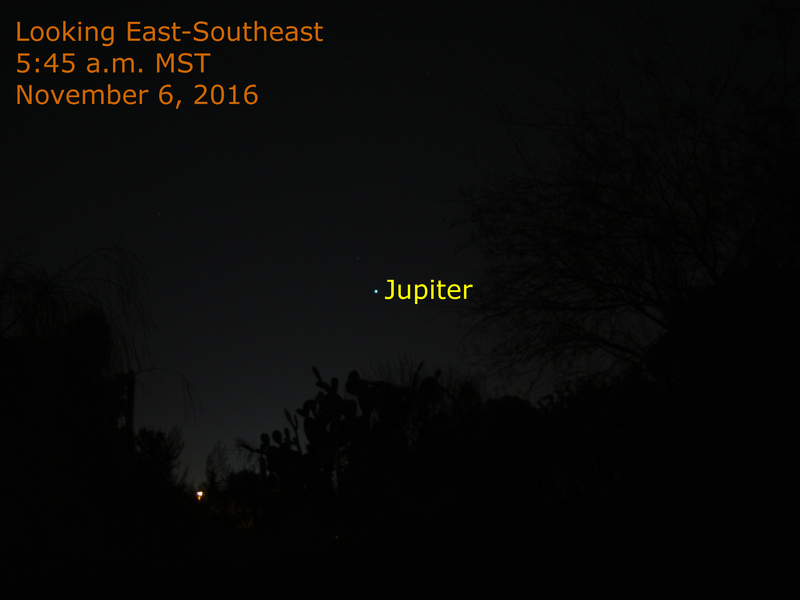 The above image shows bright Jupiter in the predawn eastern sky. It rises earlier each morning appearing higher in the sky at the same time. 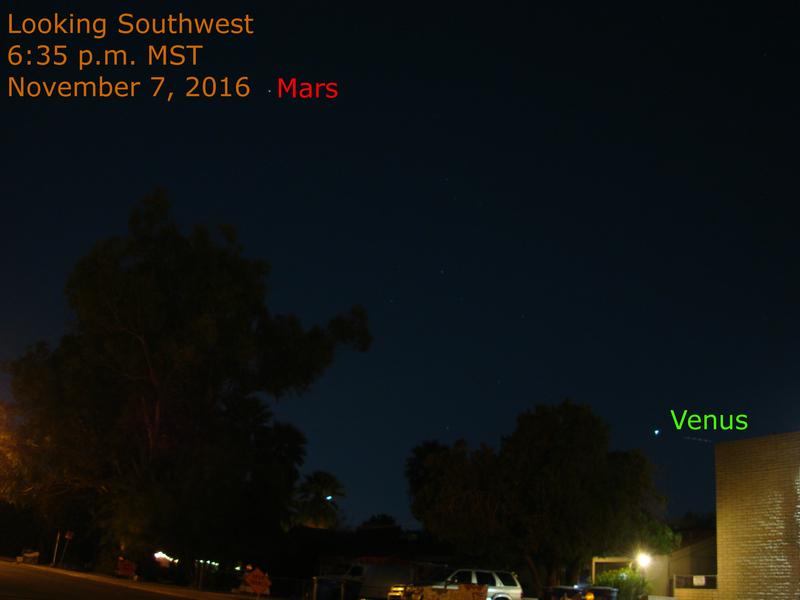 Venus and Mars appear in the southwest during the early evening hours. On the above image, the pair is 34 degrees apart. For the Mars-Venus encounter, see the link at the top of this page.